Today, Saturday, August 25th, the SU-99 came through Warwick around noon. Power was two CSX wide cabs with an NS in between. NS nice and clean, CSX units filthy. About 50 or more cars. 1) Going up the NJT Main Line to the interchange between NJT and NYS&W in Hawthorne. They would have to access their own tracks coming up track #2 of the NJT Main. 2) Going up the NJT Bergen County line up track #1 and then switching over from that line to their line at Passaic Junction. The only snag with that is they would have to do a reverse move down that interconnect crossing Midland Avenue and then they could proceed forward heading Westbound on their tracks from that point on. Also are they still on a M-W-F schedule and what time are they getting up to Hawthorne (if NJT Main detour) or Saddlebrook (if NJT BC Detour)? Would there be any other ways for them to be on their own tracks by the time they go through Midland Park? I can't think of any others and I checked Google maps and Google Satellite quite thoroughly. Any info at all would be helpful. Thanks. The SU-99/100's are originating and terminating in the Passaic Junction yard. So they are using the usual routing over the southern division, just a few miles shorter for the time being. The bridge over the Hackensack River has been embargoed for structural reasons. This is why you're seeing no activity in Ridgefield Park. ETA on repairs is sometime later this fall. Thanks ClearlyDiverging. I did manage to catch the SU-99 on Friday 10/26/2018. It was being made up by the local crew at Passaic (PC) Junction in Saddle Brook then was switched onto the mainline awaiting the road crew to take it North (westbound) to Binghamton. The local crew finished up by around 4 PM. The power was CSX #9037, CSX #4589 (Spirit Of Nashville), and NYS&W #3808. A very interesting power lash-up especially for the SU-99. I went up to Midland Park to catch it pass through where that HoT Dog Caboose is located. It came on through a little after 6 PM. The total car count was 32 freight cars. Hope no one injured. An NYSW customer, I believe -- imagine this will have an impact. It’ll be a shame to lose another NJ rail customer! NJ rail customers really starting to get scarce especially here in northern NJ! 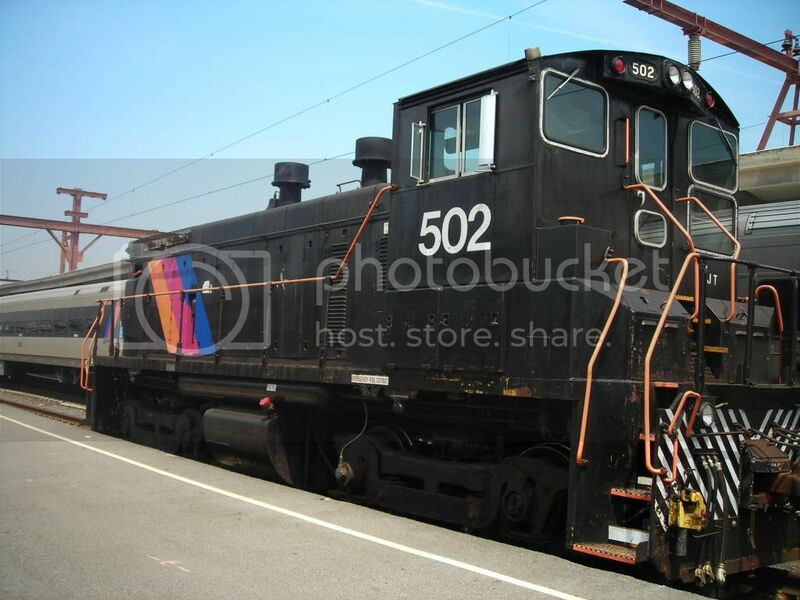 airman00 wrote: It’ll be a shame to lose another NJ rail customer! NJ rail customers really starting to get scarce especially here in northern NJ! blocksignal wrote: Thanks ClearlyDiverging. I did manage to catch the SU-99 on Friday 10/26/2018. It was being made up by the local crew at Passaic (PC) Junction in Saddle Brook then was switched onto the mainline awaiting the road crew to take it North (westbound) to Binghamton. The local crew finished up by around 4 PM. The power was CSX #9037, CSX #4589 (Spirit Of Nashville), and NYS&W #3808. A very interesting power lash-up especially for the SU-99. I went up to Midland Park to catch it pass through where that HoT Dog Caboose is located. It came on through a little after 6 PM. The total car count was 32 freight cars. So is CSX running the equipment/trains from Secaucus Area up to Passaic Jct, and NYSW is taking over there? At the moment, CSX is interchanging all traffic east of Overpeck arbor CP3. Anything west is interchanged in Syracuse, and brought down on the SU100. Marcal was an active customer, getting 8-10 cars per week.